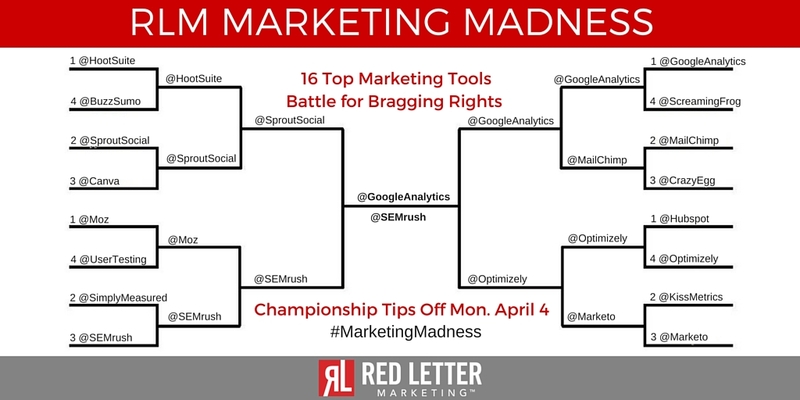 After winning the Final Four, SEMrush is the 2016 RLM Marketing Madness Champion! After the Final Four, SEMrush capped an amazing tournament run with a buzzer beater upset victory over giants Google Analytics. And after making it through the earlier rounds with impressive victories over social media superstars Sprout Social and Simply Measured, SEMrush seemed destined to go all the way. Thanks to all of the 16 great marketing tools that participated in the tournament. We saw some riveting matchups this year, and are already looking forward to next year’s tournament. For a complete recap of the tournament action, follow RLM on Twitter and/or search for #MarketingMadness. Survive and advance–that’s what tournament time is all about. 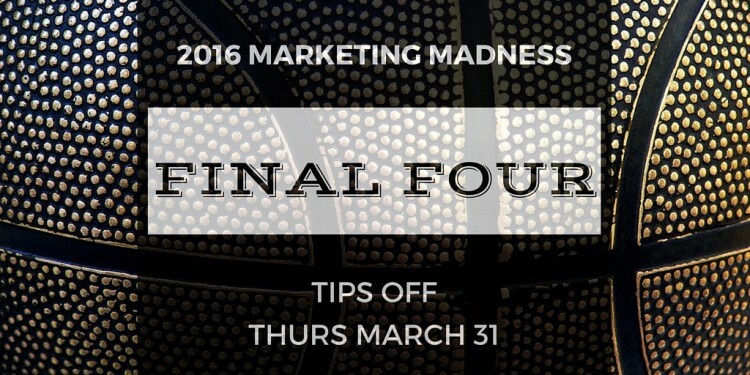 It’s no different for our 2016 RLM Marketing Madness Tournament. After two intense rounds of marketing tool battles, we are down to the Final Four! Sprout Social enters the semifinal round riding high winning over Hootsuite in Round 2. Then Optimizely is leaving a trail of marketing automation dust as it advanced with tough victories over Hubspot and Marketo. Finally, in a difficult SEO matchup, SEMrush muscled out an impressive victory over feisty Moz to book their place in the Final Four. Lastly, in the final Elite 8 matchup, Google Analytics bounced MailChimp from the competition. The Final Four will tip off on Thursday, March 31st, featuring Sprout Social vs SEMrush in the first semifinal and Google Analytics vs Optimizely in the second semifinal. Each match up was decided by a 24-hour Twitter poll. The team with the most votes advanced to the next round.